New Deluxe Diamond Dermabrasion and Collagen Anti-Ageing Facial Treatment A wonderful, luxury treatment for mature, sun damaged, dull and congested skin which combines the benefits of the Professional Peel Diamond Dermabrasion and a collagen Anti-ageing treatment facial with no needles. 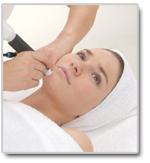 After your Professional Peel Diamond Dermabrasion a collagen masque is applied for 30 minutes. 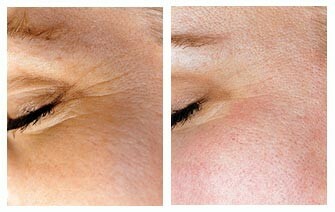 The collagen supports the renewal of skin cells and will visibly reduce wrinkle depth. 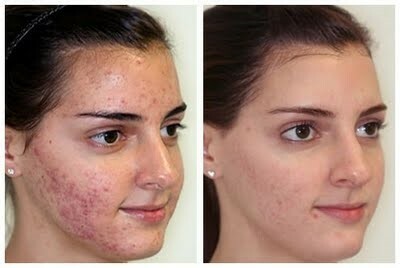 Skin will feel fresher and softer and immediately look rejuvenated. The deluxe treatment provides an instant anti-wrinkle treatment but for long-term benefits of a course of 6 treatments is recommended.